Looking for a gorgeous mothers necklace she can wear with everything in her closet? 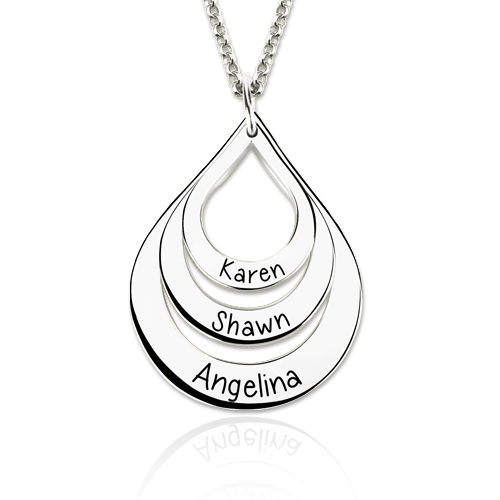 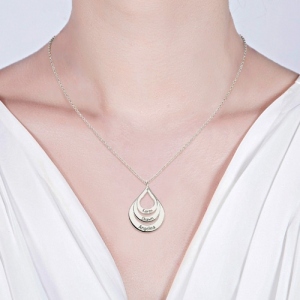 Our Engraved Family Necklace Drop Shaped makes a remarkable all-occasion gift for mom, grandma, or any other mother on your list. 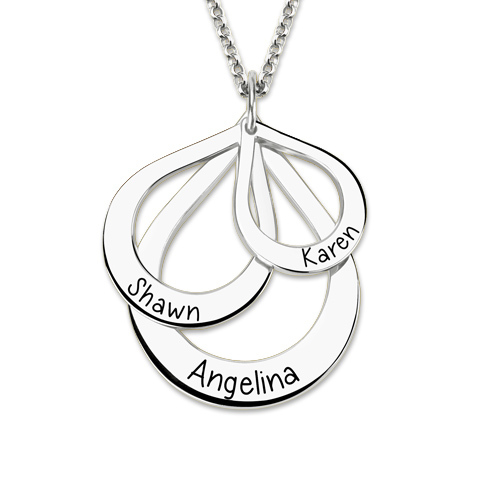 Featuring a stylish, sophisticated shape that’s different from most family name necklaces on the market, this mom necklace has room for up to three engraved names.